It wasn’t until I first moved in my own apartment that I discovered how fun and rewarding cooking can be. However, it was around that time that I also realized how complicated taking care of a kitchen can be. While I was still living with my parents, I couldn’t really differentiate between a pot and a pan, even if my life depended on it. Today, I have two separate cabinets full to the brim with every pot and pan there is – you name it, I got it! And since when it comes to whipping up my creative flavours, I want to have all the kitchenware I need to be able to cook the exact meal that comes to my mind. Because you know, I’m a foodie and I love, love, loooove good food and experimenting with my recipes. The sheer number of different items a standard home kitchen needs can be mind boggling, not to mention the prices of these items as well. 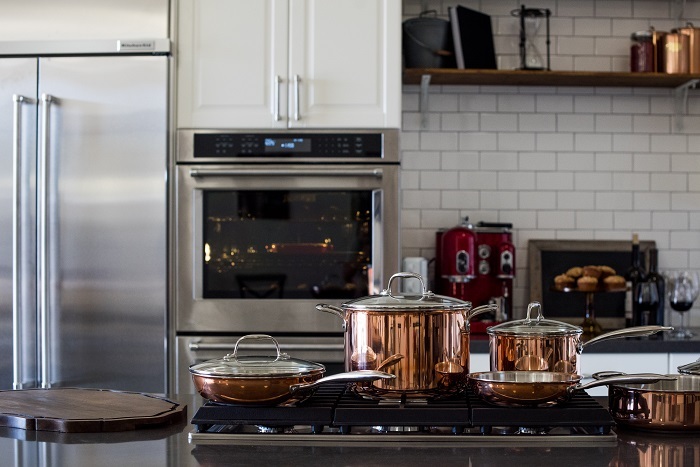 And since it’s not exactly a cheap investment, it’s wise to consider a few important things before purchasing kitchen wares online or from your local store. Here’s what to bear in mind. Buying a complete cookware set might not be the smartest decision if you end up using only a few pieces while the rest gathers dust in the cabinets. Instead, consider buying individual pieces – or “open stock”. 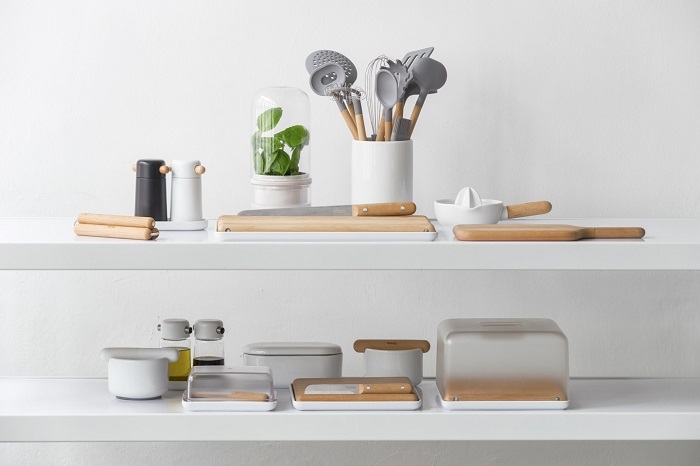 This way you can tailor your collection of kitchenware according to your individual needs and cooking style. This is also a very cost-efficient purchasing method when you only need to replace one or two pieces. Plus, purchasing “open stock” is very popular now as it gives you the freedom to add variety and colour in your collection. Your cooking style and the dishes you prepare most frequently should influence your choice of materials. For instance, if you tend to sear meat often, a stainless steel frying pan can ensure it will be evenly browned. If you like to prepare slow-cooked sauces, you’ll want to avoid unlined copper cookware as it can impart a subtle bitter taste. As for sauteed foods, they turn out best when prepared in pans that can transmit heat equally, like for instance copper. Braised foods on the other hand, require pans that retain heat over long time periods, such as enameled cast iron pieces. When looking for quality kitchen wares online shops or brick-and-mortar stores offer, you should familiarize yourself well with the terminology. “Coating” is another term for the cookware surface the food comes in contact with, and each type of coating has its own pros and cons – depending on what you’re cooking. “Non-stick” enables an easy clean up, “cast iron” is also stick-resistant and durable, whereas “stainless steel” is great for even browning. On the other hand, “cladding” is the layers of metal fused together to make the body of the cookware. While the outer and inner surfaces may be made from one material, the inside layer can be aluminium or copper, or another great conductive or metal material that heats up. Sometimes, “cladding” is also used to refer to a material added to the bottom of a stainless steel pan to enhance its heat transfer qualities.